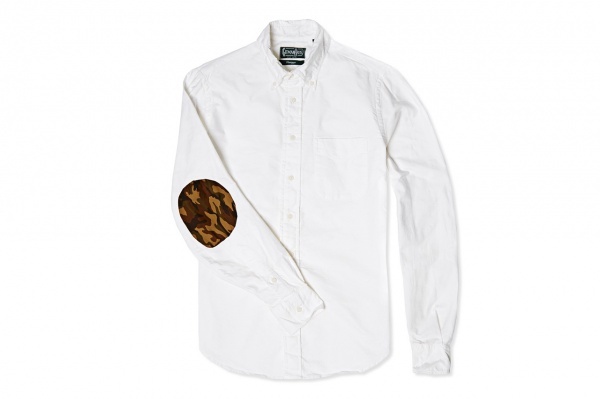 In a collaboration across the pond, UK retailer End has teamed up with American heritage label Gitman Vintage on this collaboration Elbow Patch Oxford Shirt. 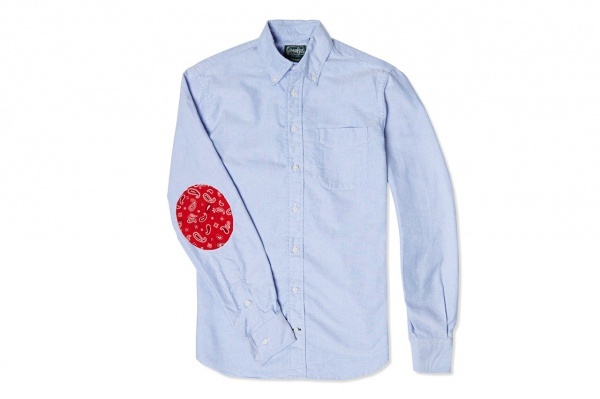 Available in either blue or white, the button-down oxford cloth shirts come complete with circular Woodland Camo or red paisley-printed bandana patch on the elbows. Finished with details like a button-down collar, v-stitched chest pocket, rear box pleat, hanging loop and contrasting bottom button hole, the collaborative shirts are now available from End online now. This entry was posted in Dress Shirts, Tops and tagged Elbow Patch, Elbow Patch Oxford Shirt, End Clothing, Gitman Vintage, Oxford, Oxford Shirt, Patch, Shirt, UK, Vintage, Woodland Camo. Bookmark the permalink.